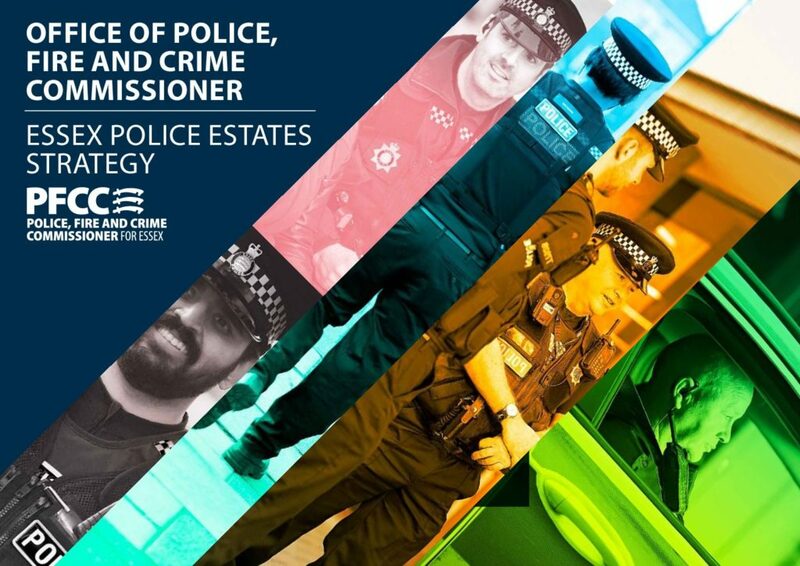 The Essex Police Estates Strategy 2018-2023 describes our vision and ambition for the police estate for the next five years, reflecting our commitment to provide an effective and efficient estate that supports the work of the force across Essex at a local and countywide level and helps to keep our communities safe. The very nature of policing – the changing demands of crime, the evolving investigative and scientific opportunities to help victims and indeed the changing types of crime being experienced by communities – means that policing must always be proactive and responsive for the communities it serves. The police estate too can never be a fixed asset and it must be fit for the purpose of policing today and tomorrow. Just as policing is changing, so too is the technology that makes a big difference in many aspects of our daily lives. Using technology better not only gives police more time to fight crime, it allows the force to be more efficient and reduces our need for physical space. Officers are now able to do more without returning to police stations and can respond from within the community, where people need them to be. Even though we are now successfully increasing our numbers of police officers and volunteers, the focus on working in the community and within partnerships means we still have too much space, often of the wrong type and in the wrong locations. Most of this strategy won’t come as news to people in communities across Essex. As Police, Fire and Crime Commissioner and Chief Constable, we have taken decisions about the police estate that have at times been unpopular but they have been necessary to deliver more effective and efficient policing for the communities we serve. We recognise the emotional and historical ties that bind many of our older buildings to the communities in which they stand but we must balance that legacy with a responsibility to build a sustainable and modern estate for the future. Our shared commitment is that the strength of Essex Police – and the first and best use for available police funding – is in its people and its operational capacity, not in buildings. To that end we have been moving out of the older and inefficient estate releasing funds for investment in our remaining estate and the new technology we need for the future. Being visible and accessible across Essex remains a key priority and is a vital part of effective community based policing. We will continue to take a modern and collaborative approach to local activity, keeping operational police officers close to the heart of the communities of which they are part. We will do this through modern technology like the ‘Mobile First’ programme and working alongside partners through local community hubs. Making better use of partnership work with other organisations is essential because it is only by working together that we will solve some of the longstanding issues in society that we cannot tackle alone. We already have some outstanding community hubs such as at Southend and Tendring, providing space in the heart of communities from where we now deploy operational officers. Our recent location of an operational police office to Brentwood Borough Council offices provides another example of working with local councils to bring policing into the heart of the community. Further opportunities will come with other local authorities and importantly through the joint governance of Essex Police and Essex County Fire and Rescue Service under a single Commissioner. This new relationship is already accelerating collaborative opportunities and we will explore more of them. For instance, working together with our partners has attracted £100,000 of One Public Estate (OPE) funding to support the development of our estates collaboration projects between the emergency services in Essex. As we modernise facilities, the ability to reap the benefits of sharing space increases. Locally, regionally and nationally we are now connected and collaborating in ways which would not have been possible only a few years ago. Our role – as Police, Fire and Crime Commissioner and Chief Constable – is to be effective and forward-thinking guardians of a police estate that is ready to meet the demands of the next generation and beyond and to work for, not against, the people who work in it. It is to ensure that a countywide service is in place and that local communities have a local, visible and accessible policing resource able to respond to their local policing demands. It is also to make sure that we deliver as much funding to frontline operational policing as possible rather than pour money into maintaining buildings that have long since ceased to be viable for the demands of modern policing. We believe this strategy will take us there. To view the Strategy, please click the link here.